Structural (crystallinity), textural (pore volume, Vp, specific surface area, SBET, pore size distribution, PSD) and adsorption characteristics of bleached flax fibres and cotton fibres have been determined using equilibrium adsorption of nitrogen, water, chlorhexidine diacetate (CHX) and methylene blue (MB), adsorption–desorption kinetics of MB and CHX, X-ray diffraction, infrared spectroscopy, thermogravimetry, differential scanning calorimetry (DSC) and DSC cryoporometry. Air-dry, degassed, wetted (RH ≈ 95%), swollen (24 h in water) and air-dried and heated (120 °C for 1 h) fibres were studied. Flax fibres have higher crystallinity, adsorption capacity (MB, CHX, water), and smaller MB desorption than cotton fibres. 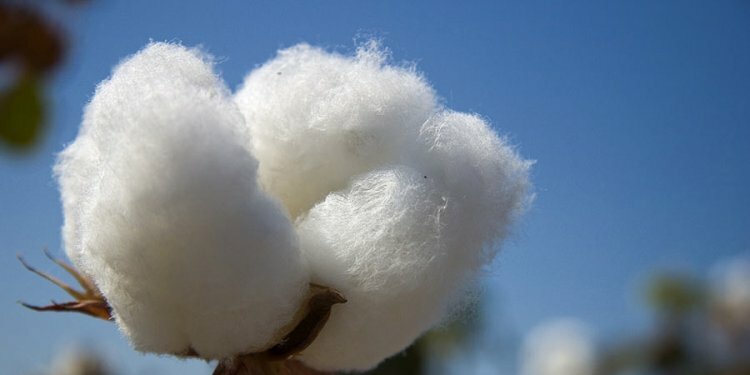 Cotton fibres have larger Vp value (nitrogenadsorption) and the SBET, N2 similar to that of flax. Water vapour adsorption is higher on flax since the adsorbed water volume is Vp, w = 0.19 and 0.14 cm3 g−1 for flax and cotton, respectively, at RH ≈ 95%. Wetted fibres are characterised by Vp, w larger by an order of magnitude than Vp, N2 for degassed samples because of swelling effect. However, nanopores at radius < 1 nm are practically absent in all samples studied regardless of the characterisation technique. The adsorption of MB and CHX on flax fibres is much larger than that for cotton fibres. The specific surface area determined from MB adsorption is 51 m2 g−1 (close to SBET, w estimated from water adsorption but larger than SBET, N2) and 8 m2 g−1 (much smaller than SBET, N2 and SBET, w) for flax and cotton fibres, respectively.